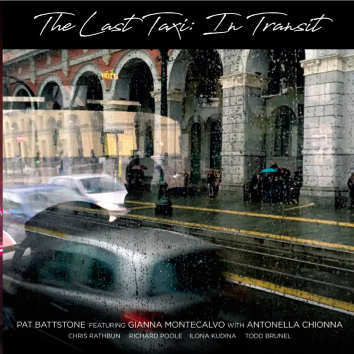 The Last Taxi is a transport vehicle. Its routes are many and its Destinations are unknown. You have but one chance to board, as it's mission is immediate and urgent. Yet you know that you MUST go in, otherwise you will be walking alone in a desolate place. Once inside the taxi, you are going home, yet you understand that home is an endless journey. What was your world is now seen through the window as a dream that is passing, an obscure and blurred image.Your travelling compagnions share the experience of the Last Taxi with you, yet each's preception is different from the other's. The Taxi is a forum of life stories, sometimes you tell yours at other times you listen, sometimes you discuss the stories with a few travellers, other times they all discuss. Your ride in the Last Taxi is free, you may come and go as you please. Yet, once you have ridden, your life will be forever seen through a different perspective. Music of great courage and beauty.